The place to pour out all your love for Anime Music. 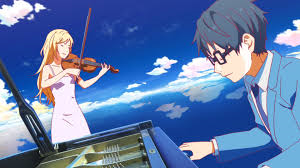 Whether you like the openings and endings of anime, the original soundtracks from it, or even both we support that here. The Opening song to the new airing anime "Classroom of the Elite"
Some of you may not know her but she's the one that made you have super feels in Sword Art Online! Yep she's the soundtrack composer for both SAO 1 & 2 and you can bet she'll do it again once season 3 comes out. Her arrangements can reach from epic categories to serene and/or emotional moments. Most would notice from SAO the beautiful tunes while the characters were in the game and moments where it really hits us at the heart when it really blends in well with the sad moments. From my knowledge her works have been first noticed in the anime movie series called Garden of Sinners. 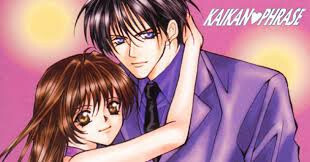 She grouped up with a couple beautiful female singers by the group name Kalafina and then started to incorporate their songs into the anime which was, in my opinion, spectacular! Not only did she do soundtracks for SAO but also for the recent anime that took viewers by storm in the season of Winter 2016. The anime was called ERASED, there were huge similarities and it sounded great! She also did many other arrangements regarding to theme songs to multiple anime like Fate/Stay Night UBW (2014), Aldnoah.Zero, and etc. If there was one word to describe this man, it would be EPIC! This man, I'm sure you've heard of him or at least saw his name in the beginning and end credits of certain anime. His works are truly amazing and for the most part his compositions are most notable to be very blood rushing and exhilarating. He does many soundtracks that just does a justice to battle scenes or times that need saving. He hasn't done that much but enough to be noticed by many. 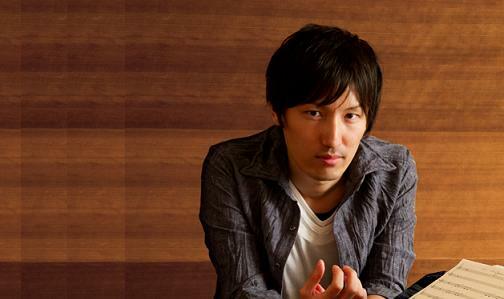 He's also done theme song arrangements for the anime he's worked on. Names of popular anime that he's done for are Ao no Exorcist, Aldnoah.Zero, Guilty Crown, Kill La Kill, Owari no Seraph, Shingeki no Kyojin, and for a recently new anime that aired last season of Spring 2016, Kabaneri of the Iron Fortress. You probably know who she is or perhaps heard her songs before. Most would know her from Sword Art Online because she sang the first opening song, "Crossing Field", for that anime. LiSA is perhaps one of the most popular artists today in Japan and has sung multiple songs on a number of occasions. To be honest she hasn't sang songs for a lot of anime but she did do one for Nisekoi, The Irregular at Magic high School, and a few others I can't list at the moment. She's mostly done songs for SAO and especially for their Ordinal Scale Movie. Her songs are great and aren't exactly hard rock, rather light rock and she sings a couple ballads here and there too. Her latest and greatest album yet right now is Little Devil Parade. You can also join LiSA on her random adventures in Japan. CR has episodes of her adventures in the link i will provide below so you can check that out. 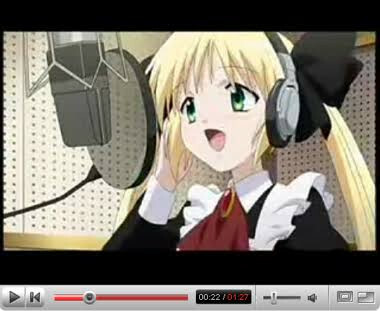 become a singer, but her illness made singing imposible. that she only had one year left to live. 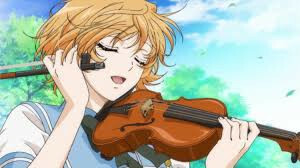 named Kaori Miyazono who has an eccentric playing style. His monotonus life was about to change forever. 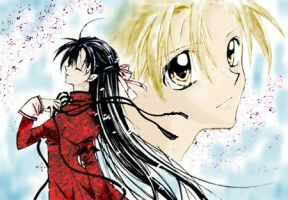 Lilis dreams bring happiness to people with music..
Can Hino perserve, or will she abandon Lilis dream? Home of musical dreams and insane competition. Ayanagi Academys five hiighest ranking students. 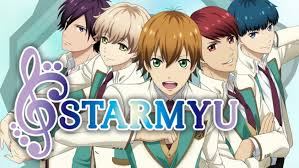 of the Kao Council members, which just might send them on the starlit journey they been dream of. and set out to find new band-mates. 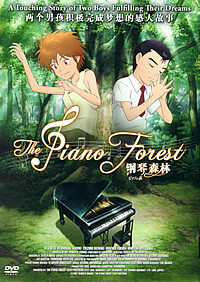 Born into the wealthy of a famous musician, Shu Amamiya feels it is his fate to become a professional pianist. 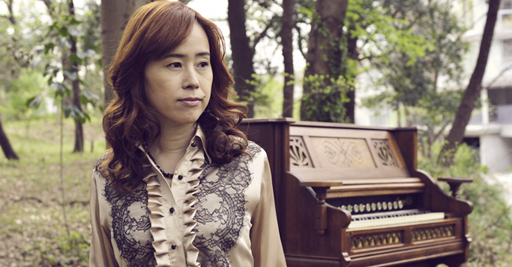 Ichinose Kai, who has ability to produce beautiful sound from a piano that was thought to be broken. There's something a bout a voice that's personal, not unlike the particular odor or shape of a given human body. 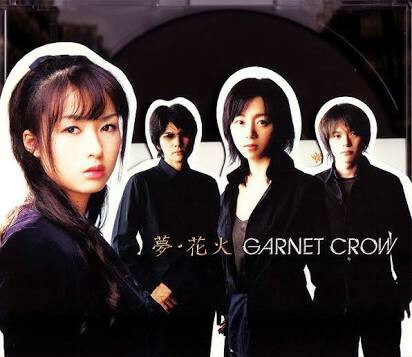 Garnet Crow They are the one who sing Yume Hanabi in anime "Mars"
If you watch already that anime please tell us how you like. Does anyone know any good anime music playlists? I can't find any.